James Wong is back, putting his ethnobotanical expertise to use once again, with over 100 new, natural, cheap and easy remedies, showing you and those around you how to have a fantastically healthy year. Whether you're fed up with your hormones, worried about your baby's nappy rash, your partner is prone to a sore-throat, or leg-waxing is proving just too expensive to maintain, Grow Your Own Drugs: A Year With James Wong offers over 100 great new remedies to soothe all manner of common conditions and beauty problems - whenever they might flare up. James shows how easy it to have access to the right ingredients whatever the weather, with his easy-to follow seasonal focus - whether you've got a window box, a roof terrace, a country garden (or a computer to order the goods online…). His seasonal planner takes you right through from Spring to Winter, making sure you know what to plant when, the best time to harvest and how to create your own mini-apothecary (or store-cupboard) at home. Packed with James's personal top tips and easy solutions for both growing and making remedies, this is your must-have companion to help ward off any ailments and complaints which might crop up throughout the year, the natural, James Wong way. FEATURES:• Over 100 new remedies• New seasonal guide - how to make sure you have all the ingredients you need for a healthy body and mind all year round• New non-gardener's guide: if you're not green-fingered or don't have a garden, James reveals how to identify plants and how to source good quality ingredients online• More about James’s personal inspirations: how he came to a career in ethnobotany, how he goes about living his own GYOD year and why a seasonal approach is important and easy to adopt• James's top tips and new gift flashes (perfect for cheap, thoughtful presents)• New case studies: how people who've tried and tested the remedies have got on• New HOME section: brilliant natural and cheap remedies for home life. 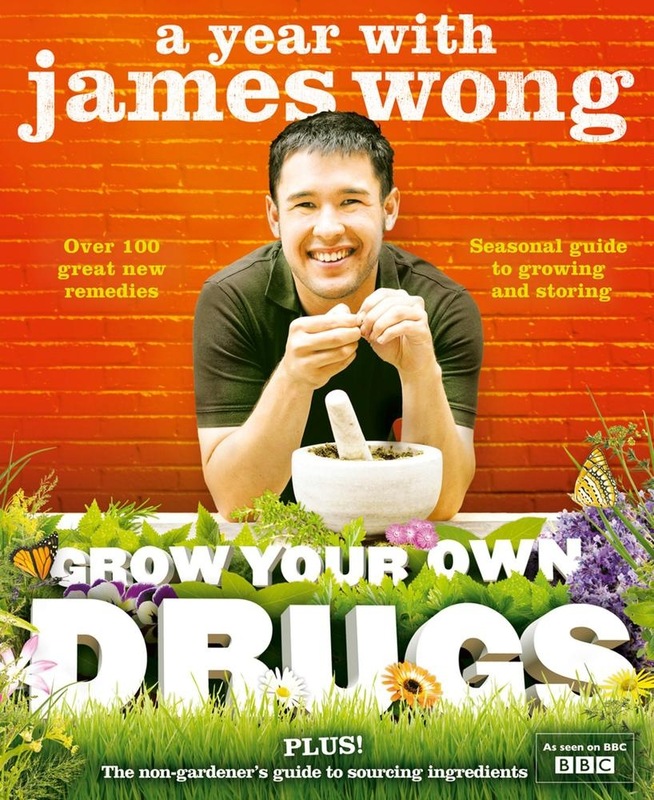 Acquista Grow Your Own Drugs: A Year With James Wong in Epub: dopo aver letto l’ebook Grow Your Own Drugs: A Year With James Wong di Wong James ti invitiamo a lasciarci una Recensione qui sotto: sarà utile agli utenti che non abbiano ancora letto questo libro e che vogliano avere delle opinioni altrui. L’opinione su di un libro è molto soggettiva e per questo leggere eventuali recensioni negative non ci dovrà frenare dall’acquisto, anzi dovrà spingerci ad acquistare il libro in fretta per poter dire la nostra ed eventualmente smentire quanto commentato da altri, contribuendo ad arricchire più possibile i commenti e dare sempre più spunti di confronto al pubblico online.